by Mark Baker. $29.95 (print), 23.95 (ebook). Here is a compact version of the outline. 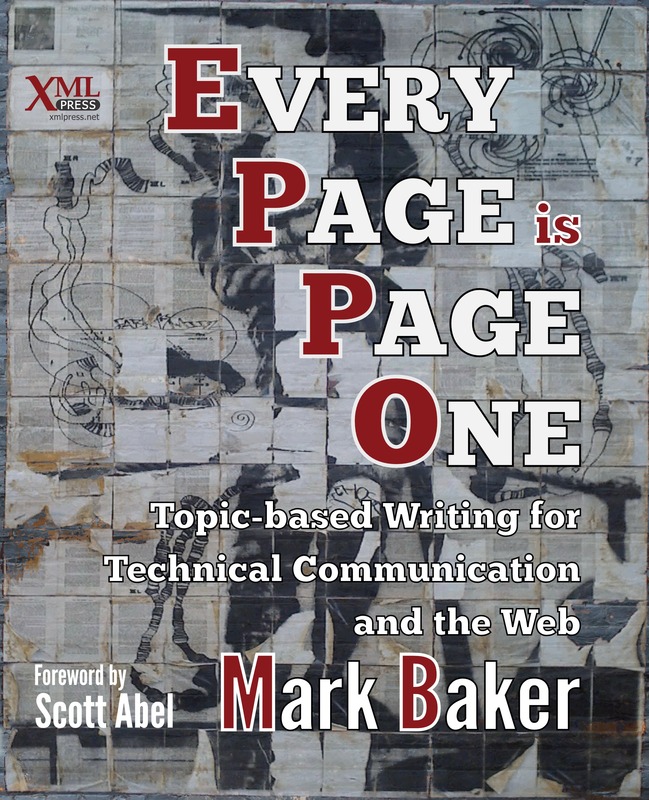 For a full, annotated version, go to Mark’s blog: http://everypageispageone.com. His previous positions include Manager of Information Engineering Methods at Nortel and Director of Communications for SGML pioneer OmniMark Technologies. 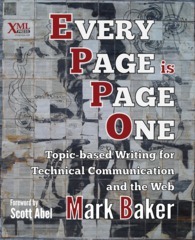 He blogs on topic-based authoring at everypageispageone.com. He is also the creator of the SPFE (“spiffy”) architecture for structured authoring and publishing, which is described at SPFE.info. He tweets as @mbakeranalecta. — Helen Abbott, Review on Amazon. WriterAccess interview with Mark Baker. Includes both the audio and a transcript.